HAPPY NEW YEAR – 2019 marks our 35th year! 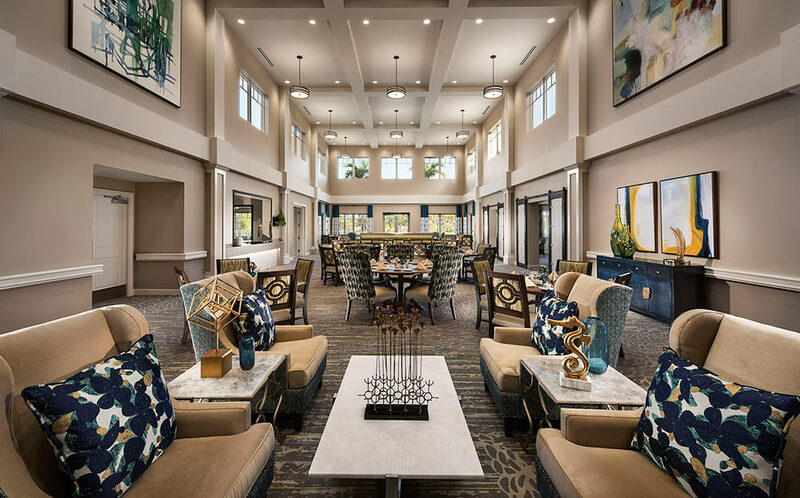 Frequent client, THOMA-HOLEC DESIGN, asked us to travel to West Palm Beach, Florida to make interior and exterior photographs of HarborChase of Wellington Crossing, a new Senior Living facility they created the interiors for. This project was also made for HRA Senior Living and Silverstone HealthCare. 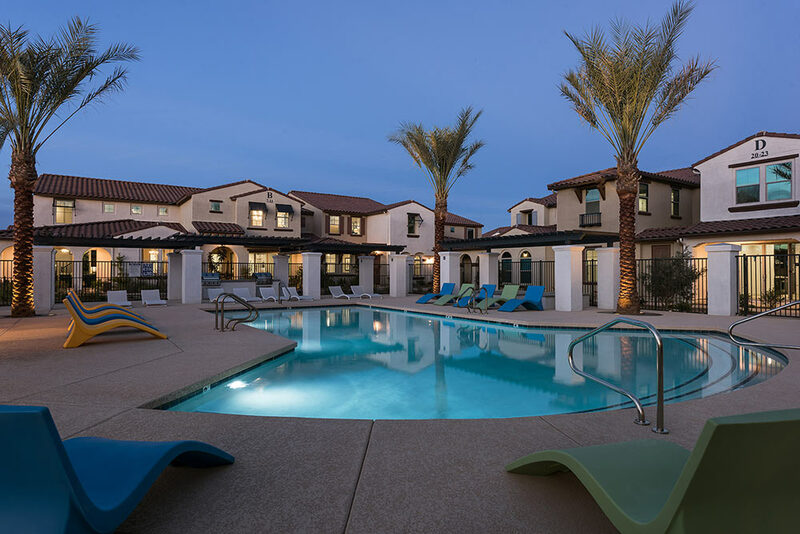 Meritage Homes commissioned us to make photographs the new pool and amenity area of Paseo Vista Village in Gilbert. The images were added to the model unit photographs that we made this past summer. The pool are at Paseo Vista Village by MERITAGE HOMES. We were selected again to make photographs of the new clubhouse and PXG pro shop at the Scottsdale National Golf Club by its advertising agency, BIG YAM, THE PARSONS AGENCY. We made photographs of the Villas interiors in 2017. The new images are being used to promote and update the private golf club’s website and marketing materials. The images are also being used by Swaback Partners, architects, Hardison Downey contractors and Kris Clay Studios, interiors. 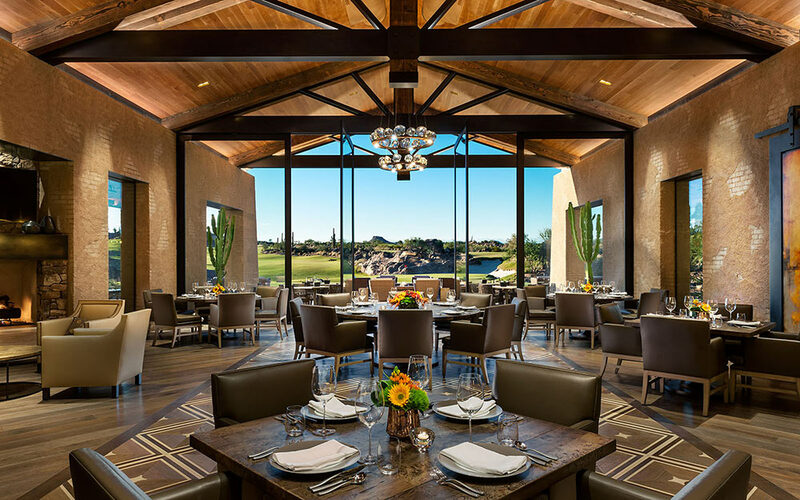 The main dining area of the Scottsdale National Golf Club clubhouse. We made interior and exterior photographs of LIV North Valley, a new apartment community in north Phoenix for Thoma-Holec Design and LIV Communities. The very colorful interior images provide a fresh, contemporary vibe to the property. 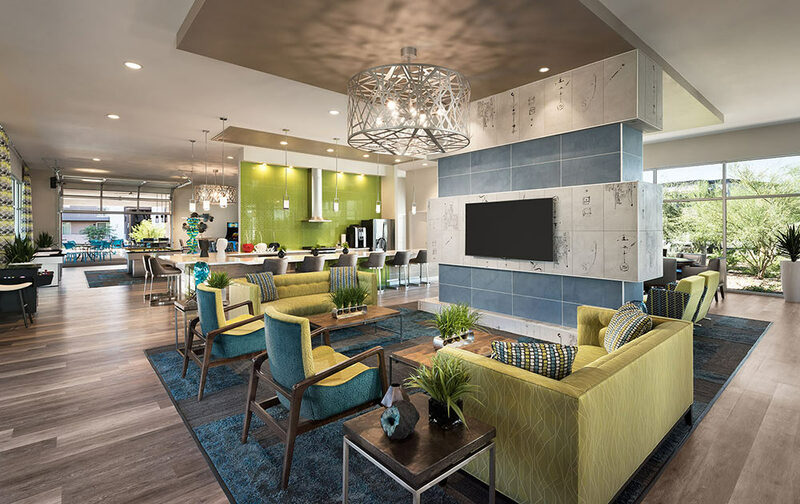 The community room at LIV North Valley as designed by THOMA-HOLEC DESIGN.